Dogs have always been referred to as â€œmanâ€™s best friendâ€� and although most of them are considered gentle and safe, the reality is that they do pose a threat at times, and can inflict very serious injuries by biting us. Even dogs that are normally docile and friendly can suddenly attack someone viciously without warning. This could lead to injuries, pain, permanent disfigurement, psychological suffering, and scaring. In some cases dog bites can be fatal. If you have recently sustained a dog bite, and you feel that you are justified in filing a personal injury claim, the lawyers at BLPC Law are here to help you with your case. According to the Dog Ownerâ€™s Liability Act in Ontario Province, the owner of the dog can be held responsible for any injuries that result from an attack or bite. When this happens, your BLPC personal injury lawyer will assist you in your case. We will do this in order to see that you are equitably compensated for those injuries, losses, and any related medical expenses that occurred, as a result of the attack. To help represent your interests, we are available for consultation during business hours, and can schedule a meeting at your home or the hospital. We know that you may not be in a position to commute. Since every personal injury case is different and is based on different, unique circumstances, some victims of dog bites might not be entitled to compensation. Therefore, the court must examine the events leading up to the time of the attack, and whether or not it was caused by the victim. As your personal injury legal team, BLPC Law will be able to determine, through evaluation of your case, if you have a legitimate claim and deserve to be compensated for your injuries, and all related expenses. If you feel that you were unjustifiably attacked by a dog and bitten, our personal injury lawyers have the experience and expertise required to handle your case. Our counsel can be tailored to fit your needs and the unique circumstances of your case. 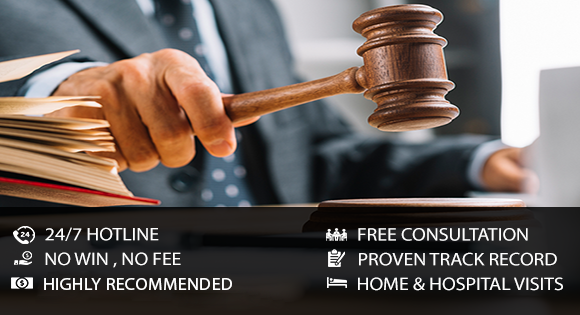 Most importantly, we come highly recommended by our current and past clients, alike; and have a solid history of successes both inside and outside of court. For more information regarding our legal firm, or to schedule a consultation with one of our personal injury lawyers, contact BLPC Law today. Let us show you how we can achieve a favourable outcome in your personal injury case.